T his was the first year that I have participated in International Dot Day. Boy am I glad we did! We first began by reading the book, The Dot, by Peter H Reynolds. It’s a story about a girl who begins to leave her mark, literally, on the world. In art class, she produces one single dot on a piece of paper. With the help of her teacher, she begins to create more and more dots. She explores and experiments with her ideas. And in turn, helps a boy – and us – learn to leave his mark. After reading the book, we discussed what we could do to leave our mark on the world. Some wanted to open restaurants, others wanted to help animals, and still others wanted to help those in need. They cited helping those with illnesses and those less fortunate. One girl wants to help those who don’t have access to fresh fruits and vegetables, by creating urban gardens and wall gardens. After our discussions, we were ready to ‘Make Our Mark’! 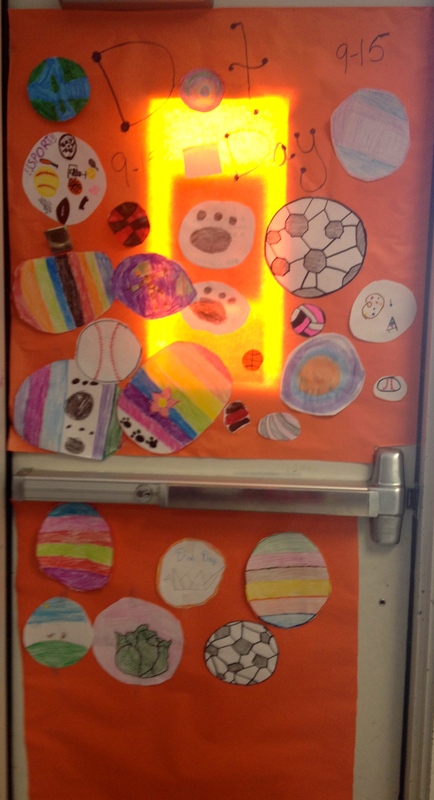 The students eagerly began creating their dots to be placed on our door. This door has been ready for them for the past week. Originally, I was only going to decorate the door, but then… I copied off the Dot Day paper by ColAR Mix. And again, I’m glad I did. I forgot the pure joy one has when experiencing Augmented Reality for the first time. So many of the students were taken by this, that they went home and downloaded the App for themselves. I had a few come in the next day to tell me all it. I guess it’s safe to say that I ‘left my mark’ with my students this week. 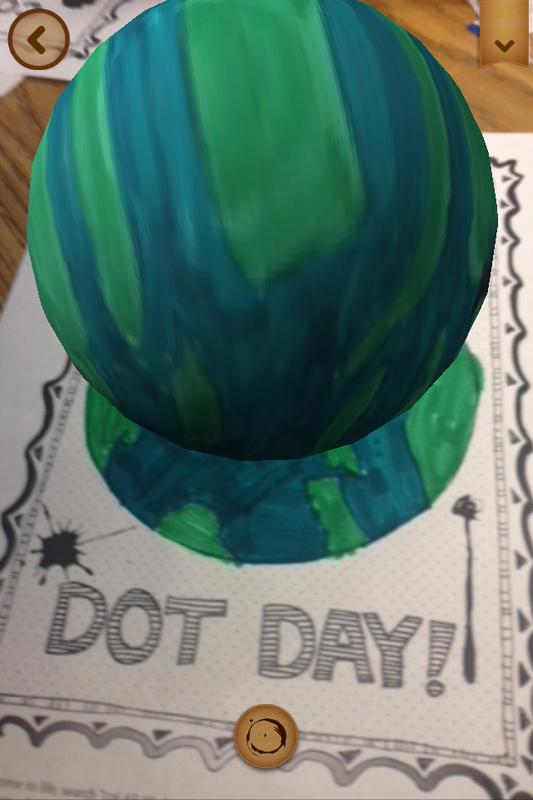 This entry was posted in Classroom and tagged Dot Day by Admin. Bookmark the permalink.